Over the course of the last few months The Tower has faced a fair number of challenges, to say the least! Today however, we are excited to announce that we are moving. 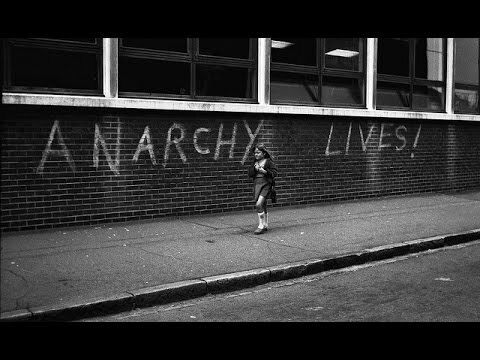 We will be moving to a new larger location in order to continue to grow and expand our project of supporting organizing efforts in Hamilton and spreading anarchy. Why are we leaving the space on Cannon St. that has served us so well? In the wake of a successful and well-attended Hamilton Anarchist Bookfair – that featured a full lineup of workshops, literature, discussion, art, movies, a community dinner, and kid’s activities (many things took place that weekend aside from the so-called Locke St. Riot) – we have had to deal with ongoing targeting by the far right, state repression, community backlash, sensationalist media coverage, and a flood. We’ve been targeted online, in person, and pretty much everywhere in between. Our space, as well as our homes, have been attacked, and we have faced a barrage of physical and sexual violence threats. We’ve had our windows smashed and our doors broken in. We’ve been called terrorists and referred to as a gang, and anarchism was talked about as a hate crime. We’ve dealt with physical confrontations with local fascists, and the arrest and imprisonment of a comrade and member of The Tower Collective. Following a particularly bad storm, the walls of our space literally began to crumble. Political struggle is rarely easy and part of being anarchist means embracing conflict and uncertainty. And while these have been trying times, we have been repeatedly moved by all of the people defending the project online and in person, offering support, donating money, and helping us to hold-down the space. Without this kind of committed support and solidarity, autonomous projects like The Tower would not be possible. During this period, we received an eviction notice from the landlord at our current location. He was concerned about the far right attacks on the space and wanted us out. We had put a lot of time and energy into improving and defending that space, and under no circumstances did we want to leave. We will never be intimidated or willingly pushed around by fascists. However, this situation was not just a matter of contending with the far right, but also with the police and the realities of capitalism. Our landlord made the decision to evict us at the urging of the Hamilton Police – they took the attacks on our space as an opportunity to reach out and strike fear into our landlord, telling him stories of nazi threats against The Tower and suggesting that no one in the building (including the residential tenants above us) would be safe as long as we were there. They explained that although they were not investigating any of the threats further (and thus were not taking them seriously), it would be best if the landlord took them seriously. Time and time again (remember the Patriot March on Locke St.), it is demonstrated that forces and interests of businesses, fascists, and the police go hand-in-hand. We want to make it clear, our eviction is the result of far-right reactionaries and the police working in parallel, to target and demobilize our efforts to build power in the community and encourage decentralized resistance. We remain as committed and uncompromising as ever, and are looking forward to starting a new chapter of the project. The circumstances may not be of our choosing, but we are making the best of it! Effective immediately, we will be closing the doors at the Cannon St. location to allow us to move. Our new space (whose address will be officially announced at the end of the month) will open for June 1st, and boasts features like a barrier-free entrance to the main space, expanded print shop, several rooms, and more than 3X the space, among other things. To everyone who contributed time and money to our renovation and repair efforts, we are so grateful for your contributions and want to assure you that the majority of additions we made to our space can and will be moved to the new location to provide a secure place to organize and grow. If you donated $50+ to our recent Tower repairs funding drive, we will be organizing the shipping of poster rewards to all of you. We are sorry to keep you waiting, we have had a lot on our plate and appreciate all your patience. Keep a look out for moving updates and a planned launch party for our new location. We look forward to seeing you all face to face soon! ← Previous Previous post: Toronto: Who Protects The Nazis?